Our clients can avail from us superior quality range of Yarn Dyeing Machine and Hank. Our offered machines are sourced from the trustworthy and certified vendors and are supplied to our valued clients after quality inspection as per the industrial standard. Yarn Dyeing Machine Cone and Hank combines performance with durability when it comes to perfect coloring of yearn. 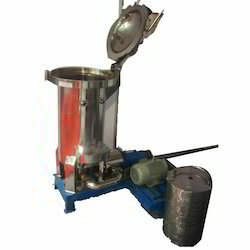 The stainless steel structure has semi automatic working and increases the level of customization. It has a reversible pump that can circulate the colored liquid or dye in both the directions for the best possible results.